There are days when disappointment strikes like the familiar sound of rain drops on the pavement. Another day from the office has passed and I’m on my way to the MRT station to join another epic queue. 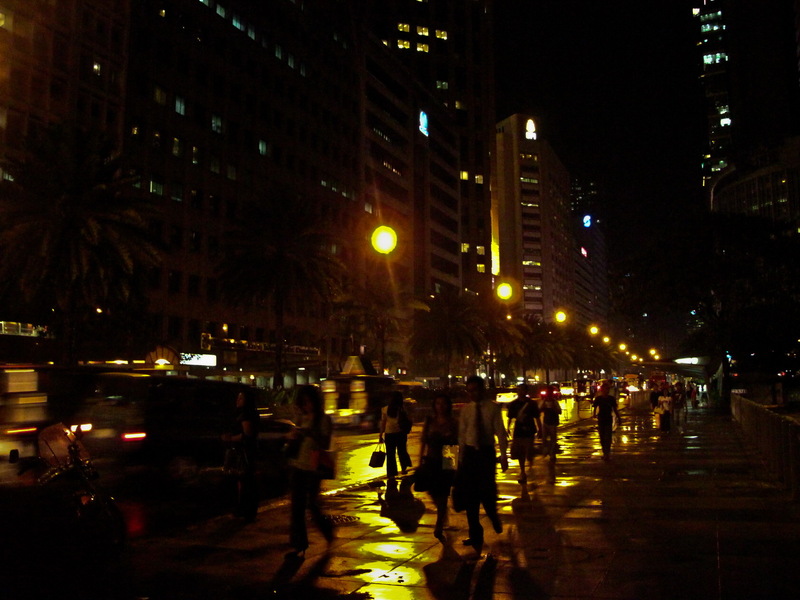 I opted to stroll the long sidewalk of Ayala Avenue despite the rain than to wait for my turn to ride the Ayala-Washington jeepney. Perhaps, it’s because I’m already fed up with long queues. Or maybe, I simply hate waiting. Or more precisely, it’s because I like having a sense of control over my own time. The very movement of my feet against the concrete feels like power over the surge of minutes ticking by. It makes me feel like “Yes, I’m getting there – onward towards my goal.” It gives me a sense of fulfilment, of productivity, and of effort not wasted. Even if usually, the time I spent walking is almost equivalent to the time I would’ve spent waiting on a queue. I realized I have that same attitude with my career. I like the sense of taking over. I long for the thrill of fulfilment – of my very own efforts being rewarded and recognized. But sometimes, uneventful days like this just come by – that I walk and walk still to end up waiting in a much longer line. In the end, I just feel exhausted, worn out, and unfulfilled. I am then reminded about the ministry of John the Baptist as the fore-runner of Jesus Christ. He didn’t long for glory for himself. Yet he faithfully served his purpose – to point souls to the true light and hero of history – the Lord Jesus Christ. “He must increase, but I must decrease.” (John 3:30)These words echoed to me like the rhythm of the rain drops upon the ground. They reminded me of the whole point of why I am tracking this path in the first place. They serve as a compass while I set my feet upon the pavement. All these hours and efforts will not be wasted as long as I fulfil my purpose in my career -that is to point others not to myself but to the Lord Jesus Christ.